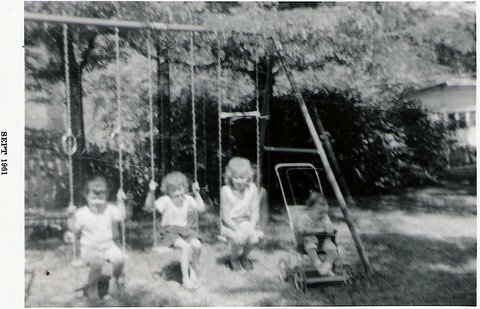 This was taken in the Krocker’s back yard. 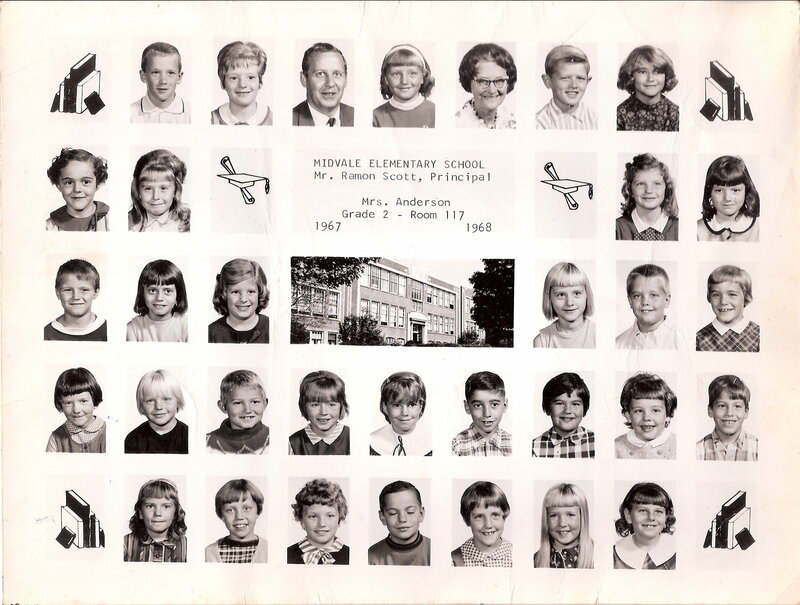 Click on any photo to enlarge it. You will also be able to use your arrow keys or your mouse to scroll through them. 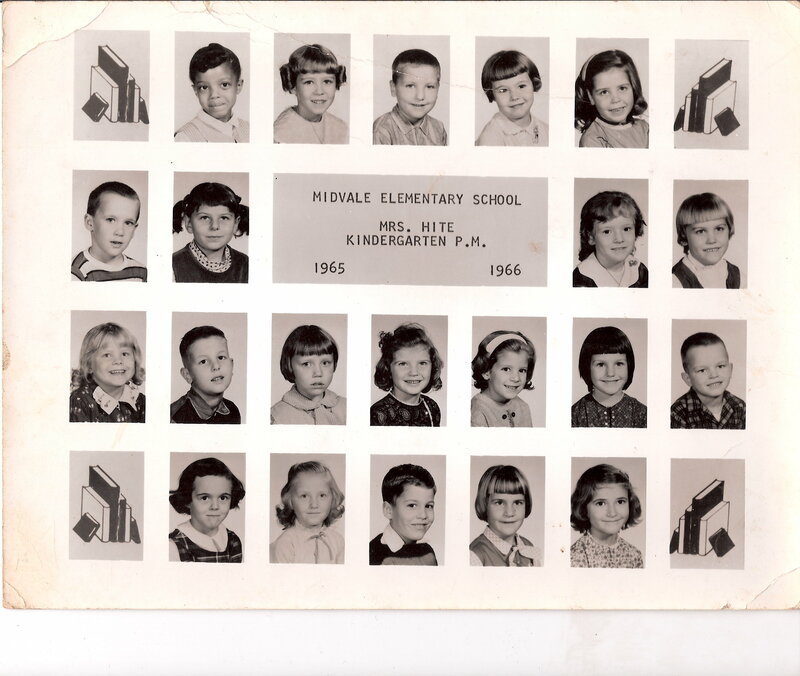 Sue Rolli Kirtley resided in Goshen from 1959 to 1976. 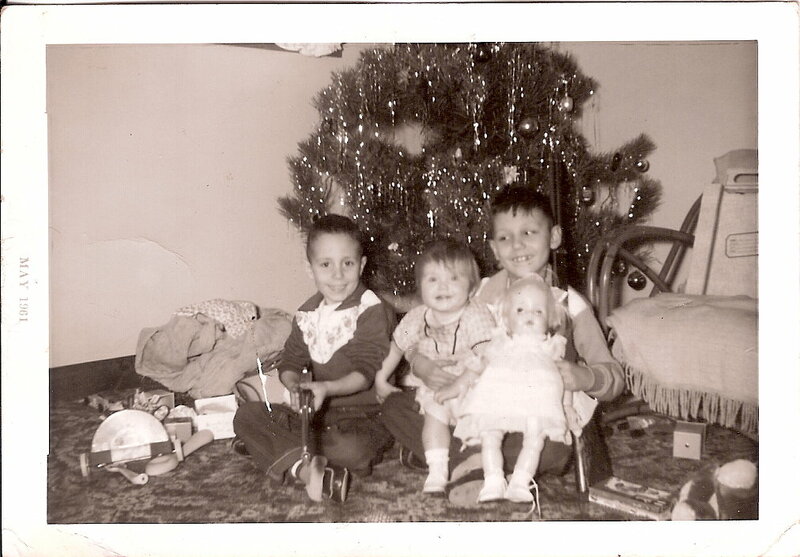 She lived with her parents Marge and Neil and brothers Kevin and Allan. 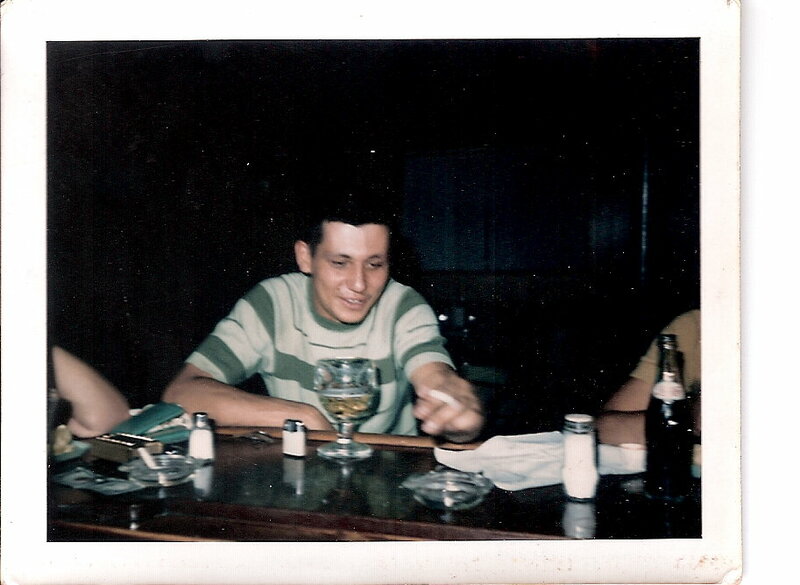 Neil passed away in January of 1987 and Kevin in December of 2004. They had all resided along old Rt. 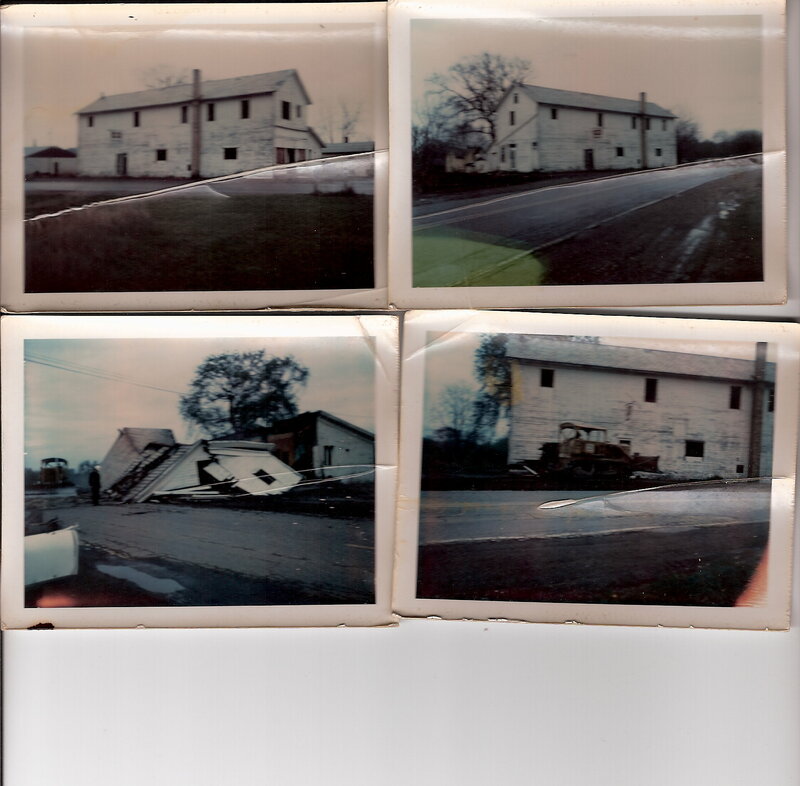 4 which is currently State Route 416 across from Rolli’s Tavern which was owned and operated by her parents. 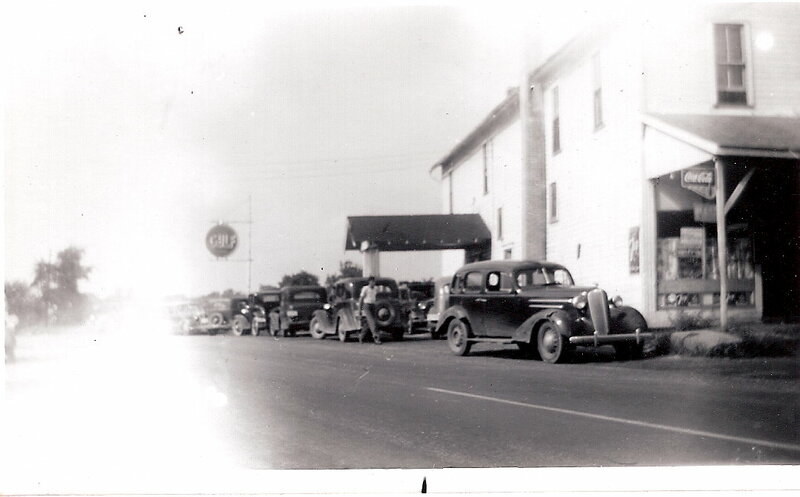 They also owned a gas station at one time. Kirtley now lives in Dover and has two daughters Stacy Michelle and Blair Elizabeth, sons-in-law Dwyane and Sean and one granddaughter, Johanna Jane. Sue is currently working at Lauren Manufacturing, in New Philadelphia. 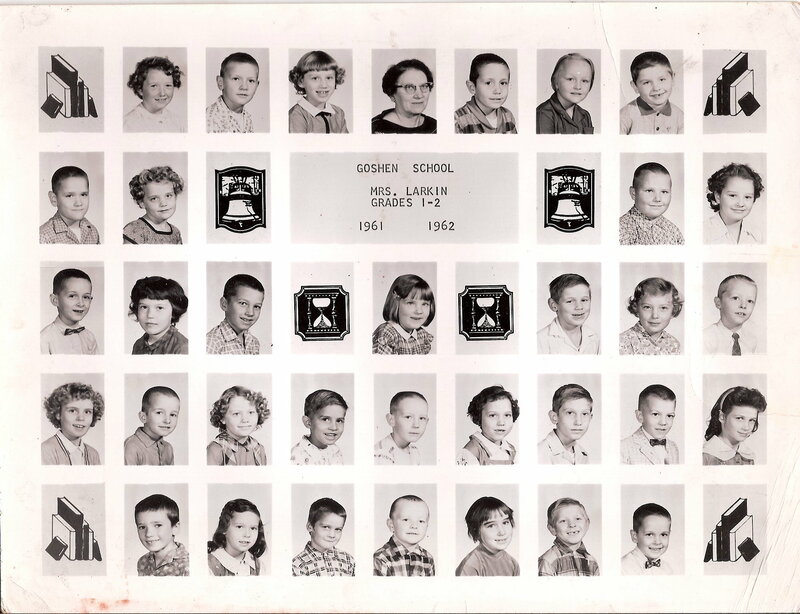 Kirtley says she always felt there was something fun to do in the Goshen community. Kirtley also loved sled riding and ice skating and enjoyed watching the baseball teams during the summer. The softball team played on the field once owned by Huck and Ellen Wilson and where the little league games were held. In her spare time these days, Kirtley likes to spend time with her brother. 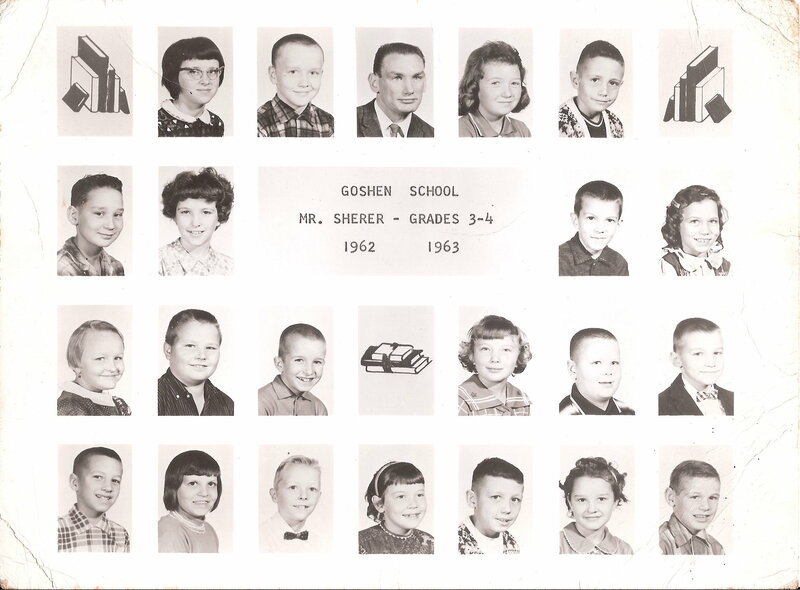 “Mom and Dad moved to Goshen in 1954 and built what is now Gary Mangon’s house. There, they operated a Sinclair gas station.”, she explained. 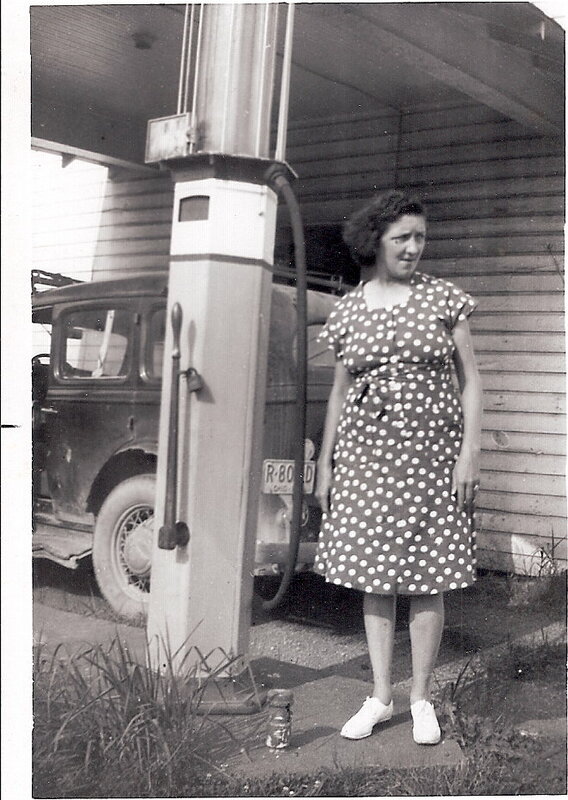 “My Grandma Helen Rolli, operated a general store next door in the house that Jimmy Carlisle did live in. I don’t know if he still lives there or not. 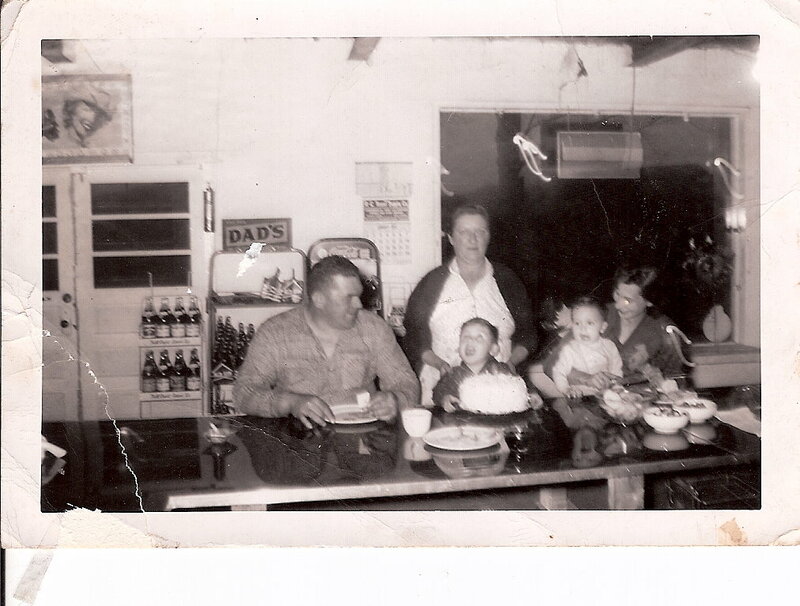 Also, my Grandma Helen operated a rootbeer stand on the property where Gary Garabrandt’s mobile home is located. The root beer stand had the first “drive in” movie in the area. The movies would be shown on the side of the store and later she got a big movie screen. 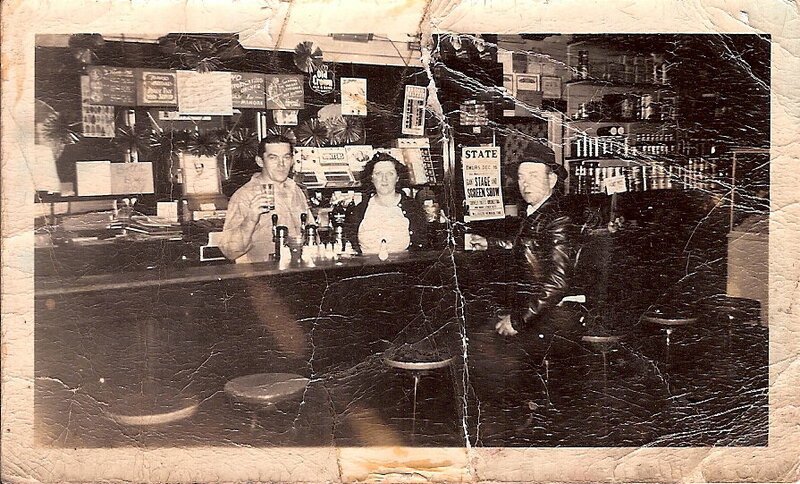 My Grandma Rolli purchased the tavern from a lady named Mary Johnson and operated it for many years until she had a stroke and died in 1967. 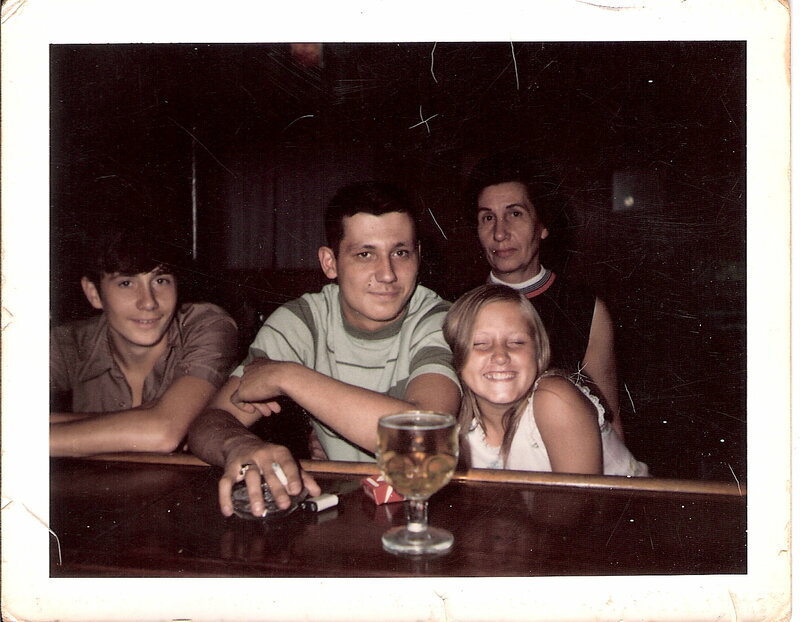 The tavern was left to my dad, Neil Rolli and it was operated by him and my mom, Marge and George “Pappy” Szita. 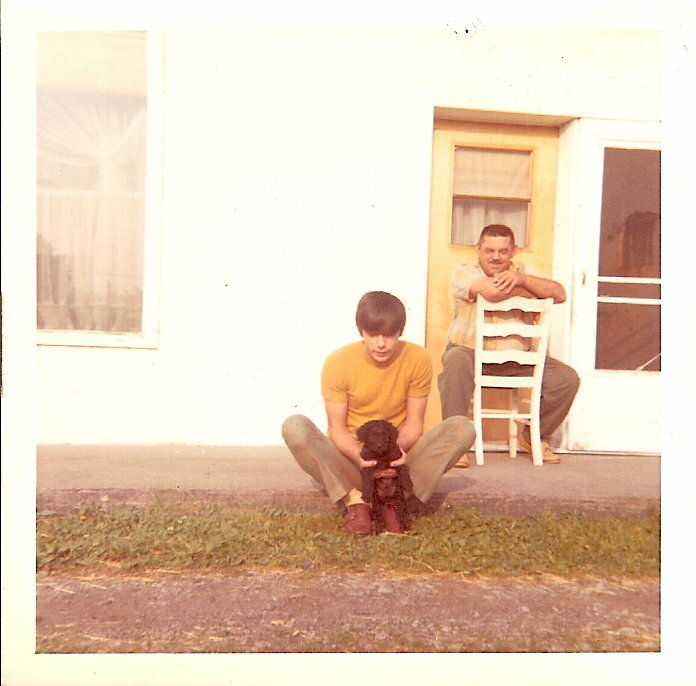 Pappy was my Grandma Rolli’s companion for many years. He had a sister, Agnes and a brother Louis. They lived in a house beside Kennedy’s. I think the rebuilding of Route 4 into S.R. 416 happened in 1974-75. 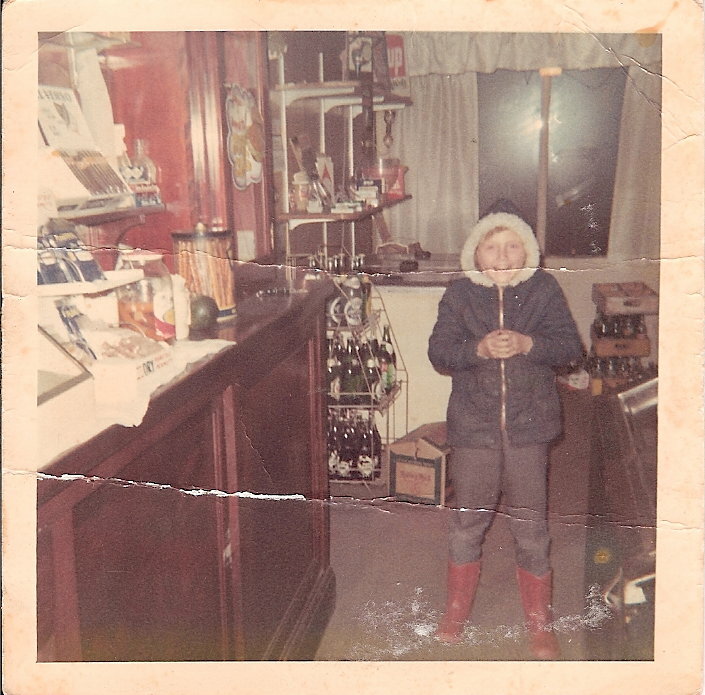 (In a later e-mail, Kirtley notes that on the back of a photo of the newly built tavern it says the plumbing was completed in 1973!) The new road caused several people to have to relocate their homes/businesses. 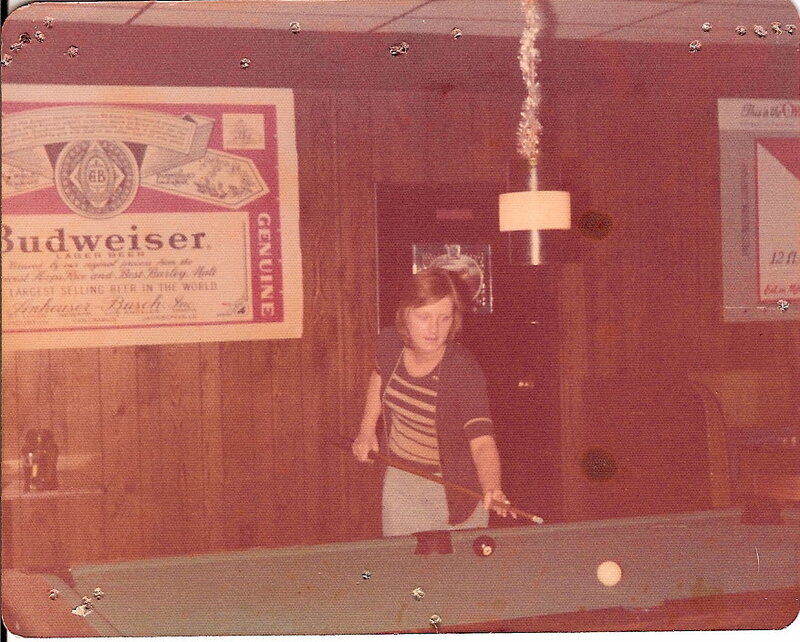 Mom and Dad couldn’t have the tavern moved because it was such a large building, so they built a new tavern that is currently some type of “gaming” place. The old tavern was torn down because the new roads’ center line would basically go straight down through the middle of the building. I can remember the road crew hauled fill dirt off of mom and dad’s hill, behind our house, to make the base for the new road. 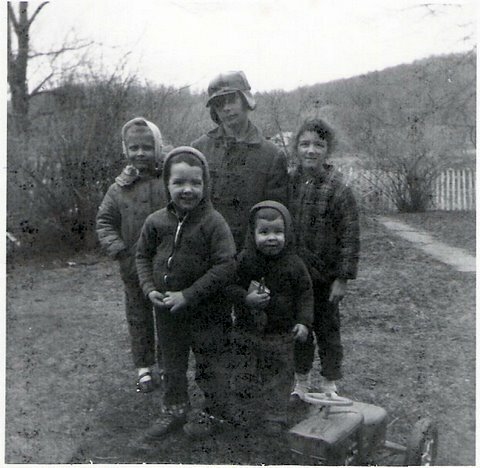 I can remember that Ralph Simmers moved (Bill and Betty) Kennedy’s house down over the hill to its current location. Mr. and Mrs. Anderson’s house was bought by Mom and Dad and also moved by Ralph Simmers and was eventually located right across the road from the new tavern. After some remodeling of the Anderson house, mom and dad sold the cement block house to Gary Mangon and we moved into the Anderson house. Agnes and Louis Szita’s house was also moved down the lane by the Welshenbaugh and Reynolds families. 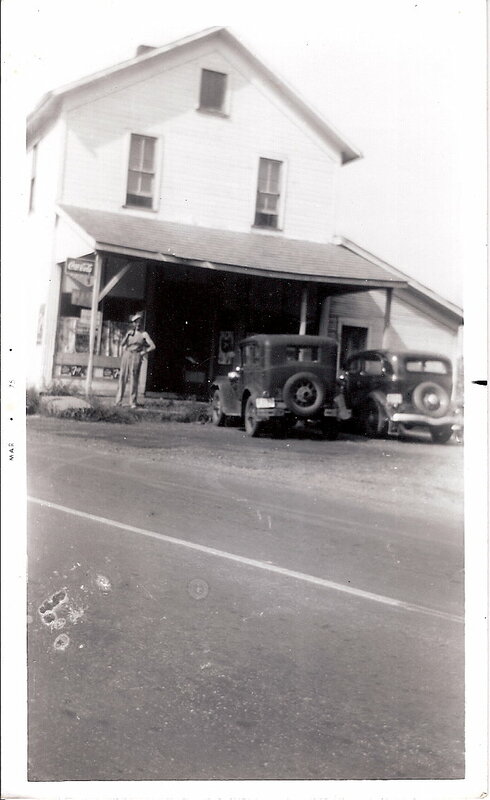 Also the gas station and store operated by Huck and Ellen Wilson was moved down the road. 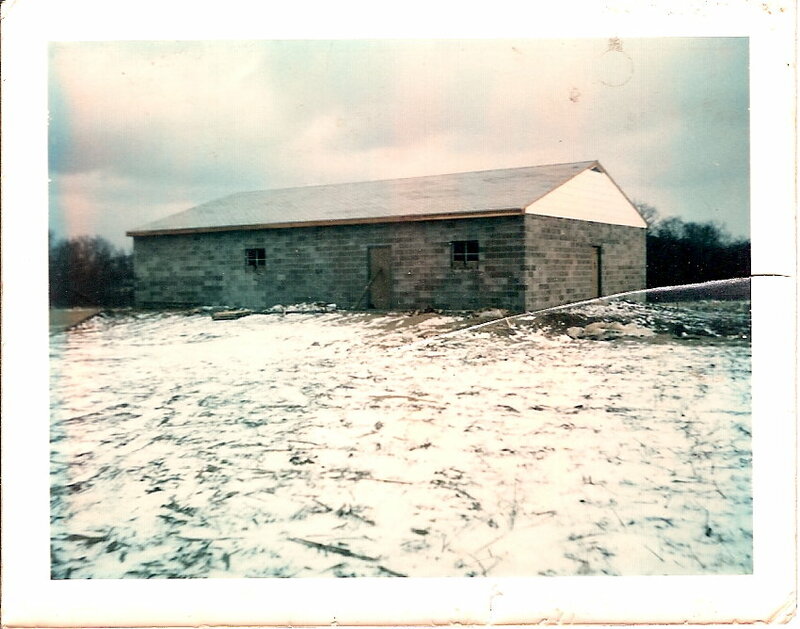 Actually, their house was moved and a new gas station and store were built and is now where Fox’s Horse Farm is located. 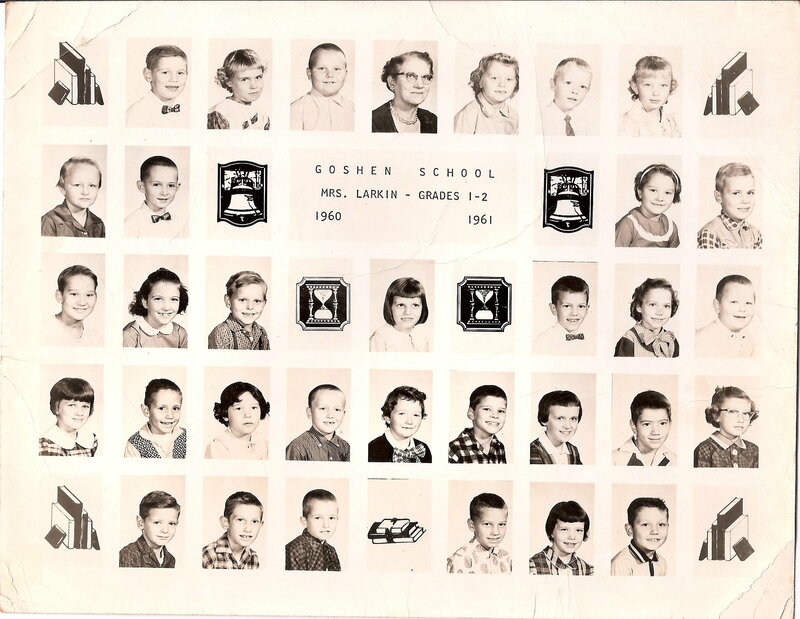 Kirtley added that she has many photos of the community as well as some Goshen School “class photos” and would like to add those to the website in the near future. Marge Rolli is now living at the Schoenbrunn Healthcare Center, in New Philadelphia. The Universal Sewer Pipe Corporation Plant #2 began its operations about 1920 and was located at the present site of the Skeeter Hollow Farm (owned by Mike and Dawn Smitley), which was formerly Cookson Industrial Site. The plant, which had 14 kilns, specialized in making vitrified clay pipe, flue lining and stove pipe in various sizes that were used by building supply dealers. Employees of the plant belonged to the 501 United Brick and Clay Workers Union. During World War II, while the men were serving in the military, 14 women worked in the sewer pipe plant including Roberta Warner, Fanny Swaldo, Emma Gervasi, Lena Richardson, Mary Kennedy, Betty Krocker, Alice Cooper and Ruth Trimmer. 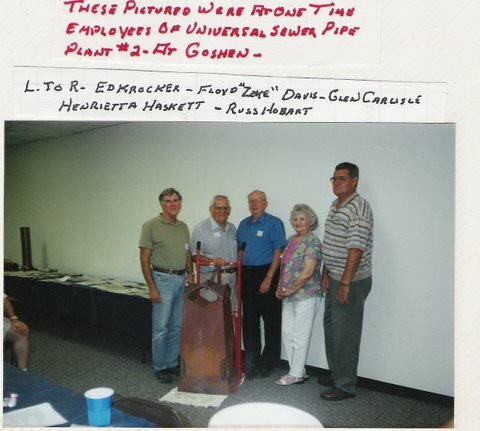 Floyd “Zeke” Davis was a recording secretary for the Local 501 in 1953 and recalls earning 68 cents an hour. ($5.44 a day) when he began working in the early 1940’s. Others who held office at the this time include President Adrian Rausch, Vice President Bernard Conklin and Treasurer Walter Hammon. The last union meeting was held in December of 1960. 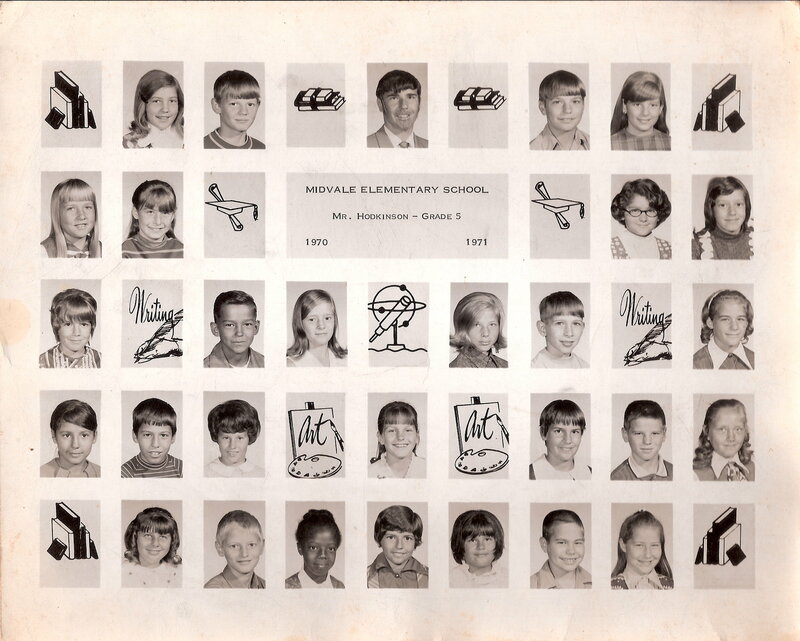 There were 73 members at the time of the plant’s closing. 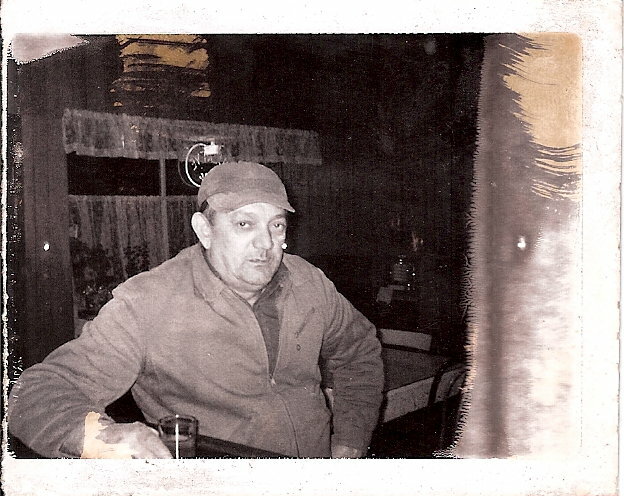 Francis “Foxy” Walton was the oldest man in terms of service for Plant #2 at that time. 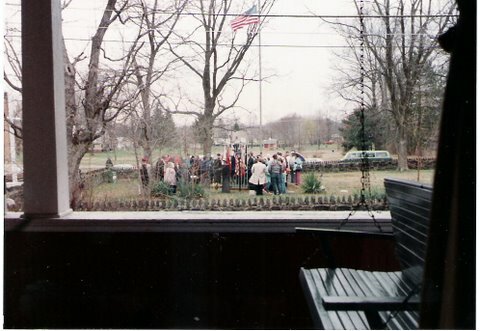 Davis still has some of the minutes recorded during the union meetings and read a portion of them at one of the Goshen Reunions. 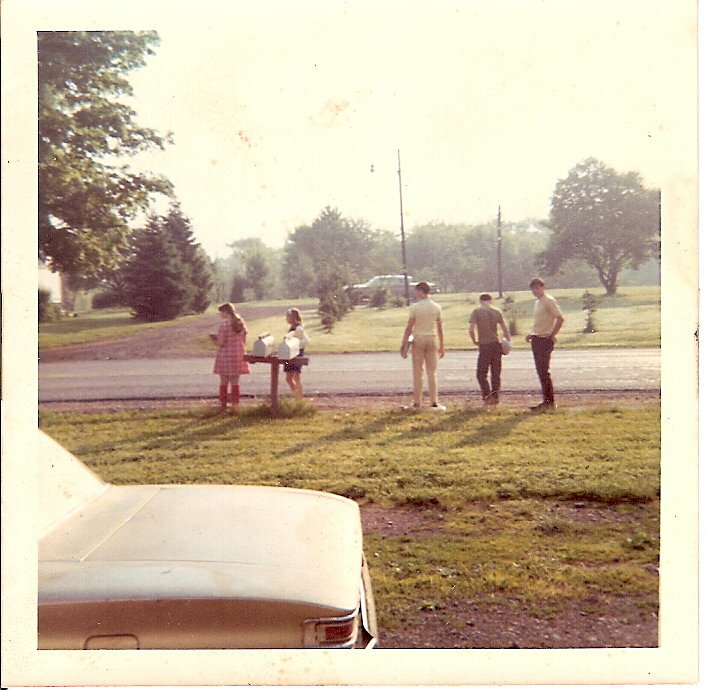 Read more on Page 8 of Recollections of a Community Part 1. John R. “Huck” and Ellen Wilson opened Wilson’s Service at Goshen, in 1946. 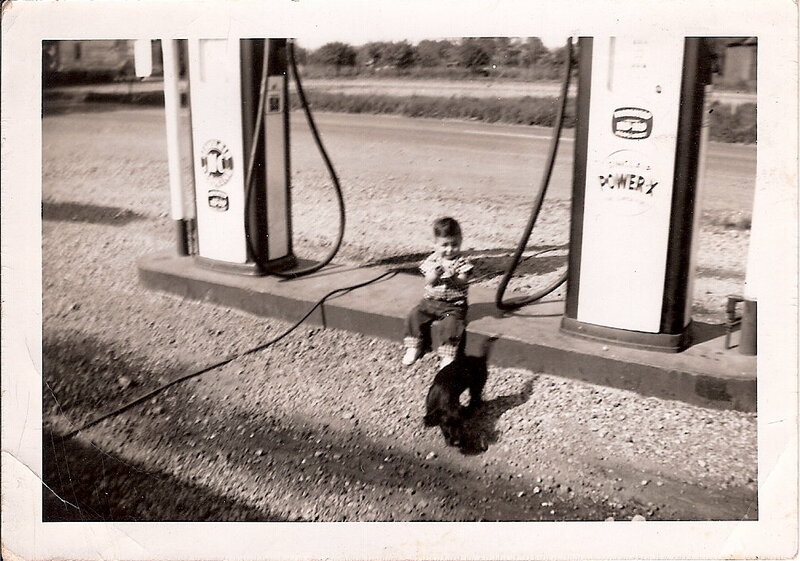 They not only pumped gasoline but sold groceries and snack items. 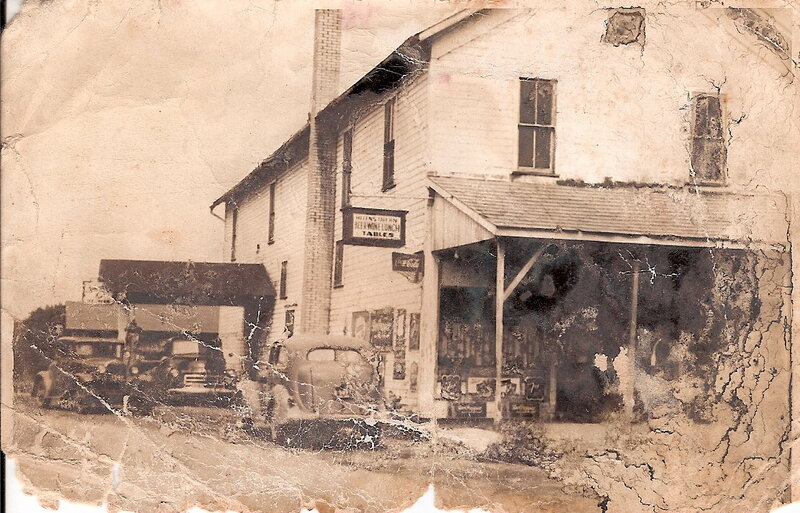 Ellen took care of the store while Huck worked at the Goshen Sewer Pipe. 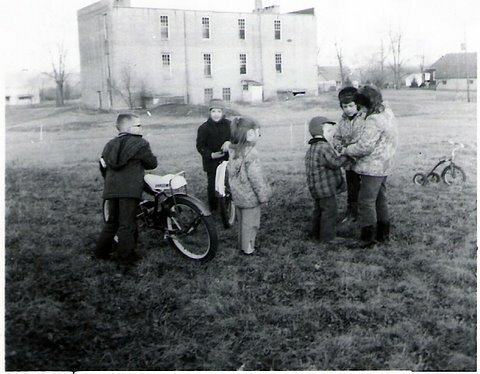 In 1970, St. Rt. 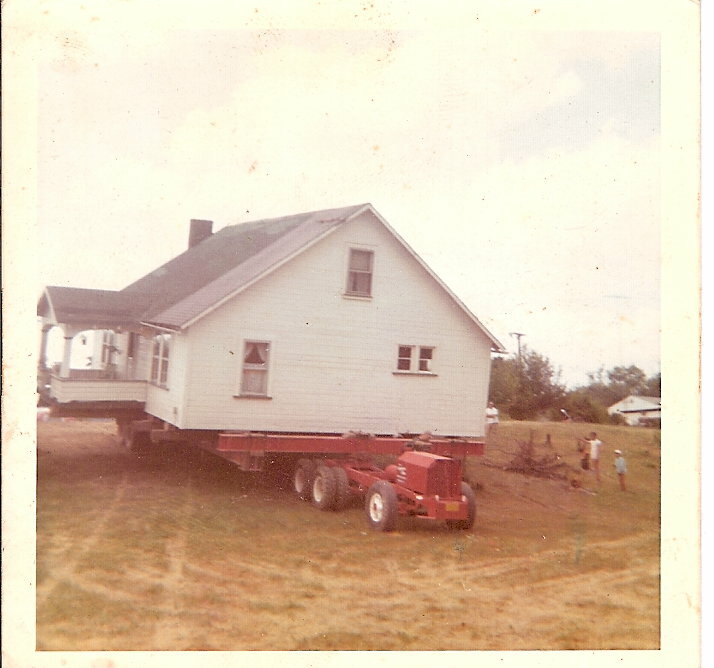 416 was re-routed and the house was moved down the road and a new store built. There are apartments and Fox’s Horse Farm in that location currently. Huck died in 1972 but Ellen kept the house and store. 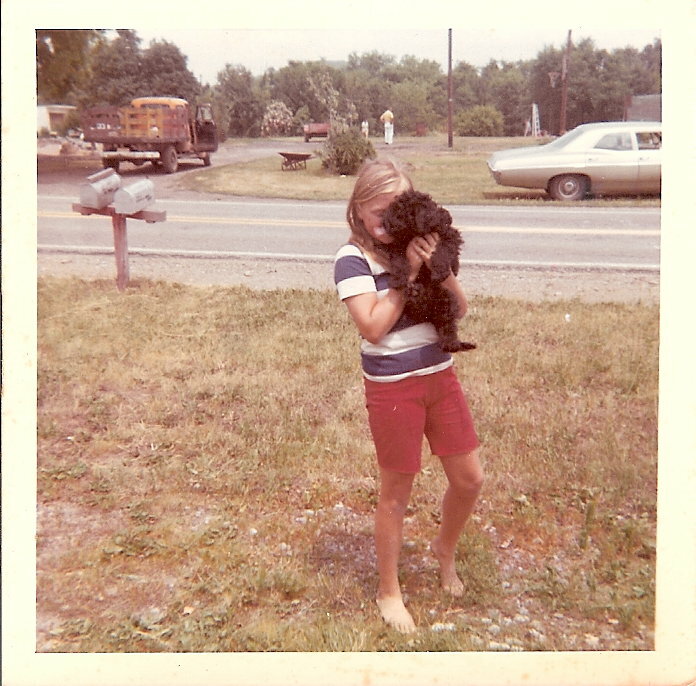 In 1976, she decided to sell the property. The couple were known for rewarding the local kids who received three A’s on their report cards. The kids would get a candy bar for their efforts. Huck’s sister was Mary Wilson Kennedy who also lived in Goshen on what is now David Rd. She was married to John Kennedy. The house is no longer standing. Huck was also one of Goshen’s honary mayors. 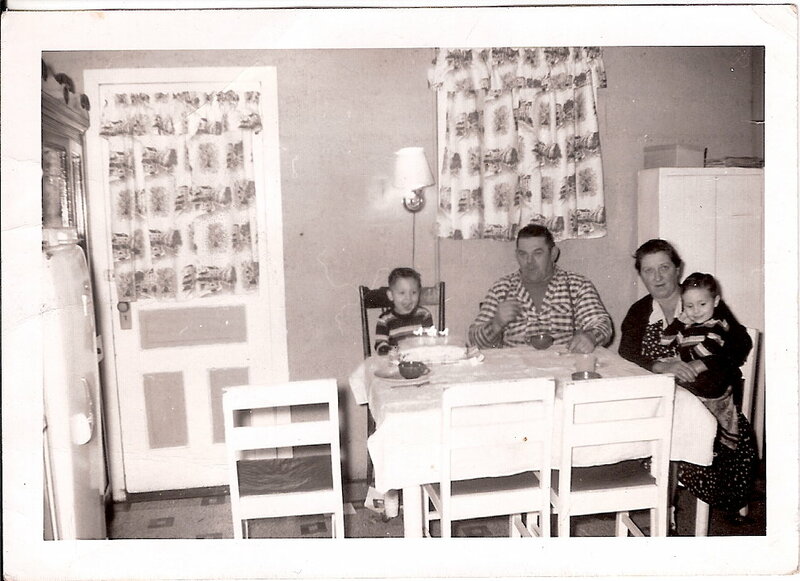 Wilson “Bill” and Betty Kennedy moved into their house along State Route 416 in 1955. 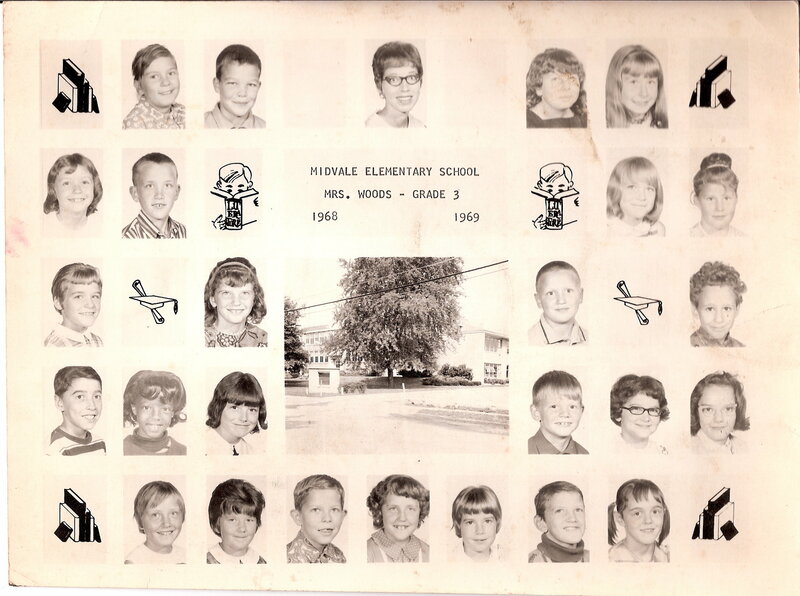 The house was moved around 1970 from the current Goshen Valley Rd. when the new 416 was built. 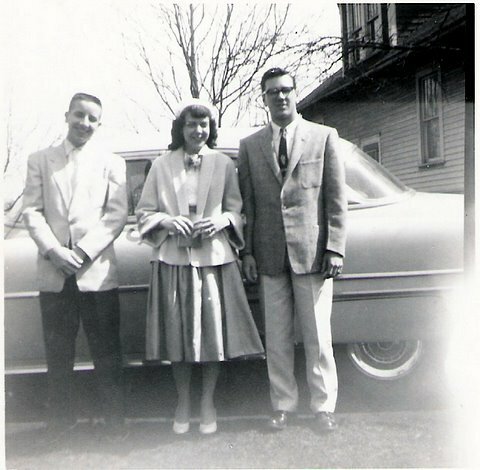 Bill and Betty had two children, Mike and Sue. Mike currently resides in Clearwater, Florida and Sue, in Dover. Bill’s parents were Jack and Mary Kennedy who lived in Goshen since 1939, next to the Goshen Community Church of the Nazarene. The house has since been razed. 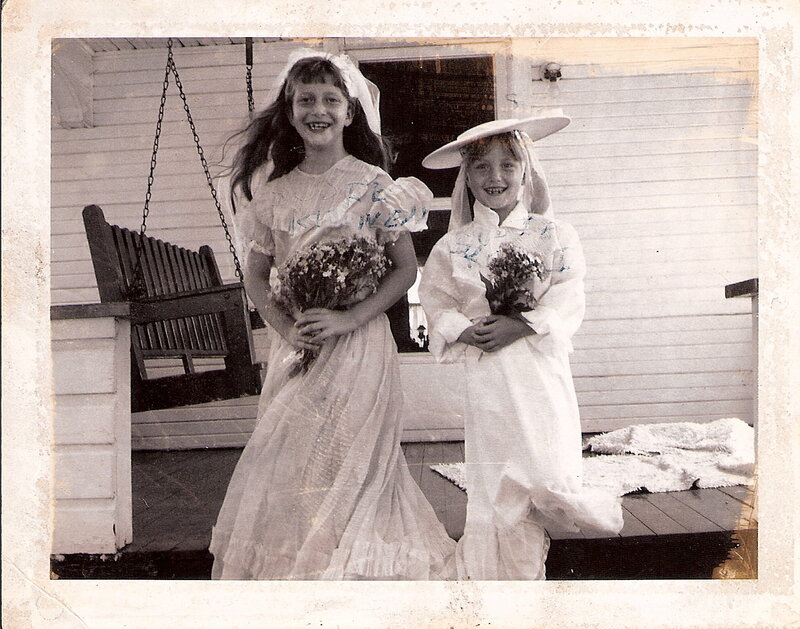 Their children besides Mary, were John R. “Huck” Wilson, Woodrow “Woody” Wilson and Margaret Jackson. 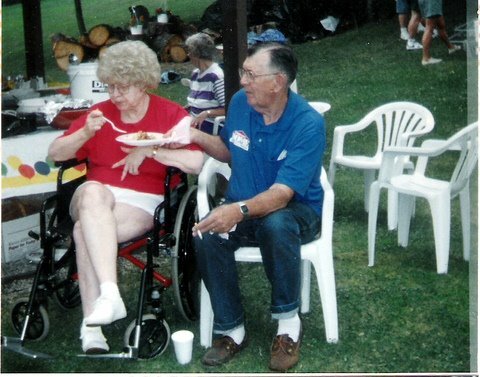 Bill passed away on August 20, 1998 and Betty on February 20, 2003.